Team Suzuki Press Office – April 8th Team SUZUKI ECSTAR heads to Austin in Texas and the 5.5km Circuit of the Americas (COTA) for the second round of the 2015 MotoGP™ series this weekend with the aim of continuing the ongoing pattern of improvements for the GSX-RR machine. 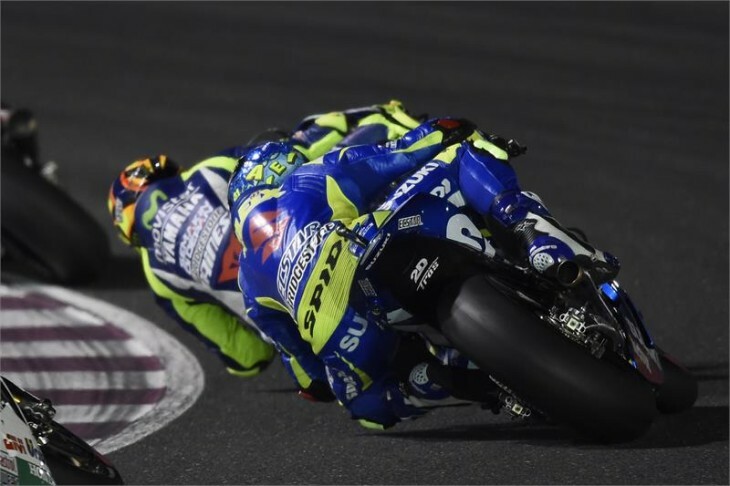 Following the 2015 season debut in Qatar two weeks ago, Aleix Espargaro and Maverick Viñales are ready to once again measure themselves and their GSX-RR machines’ performances against the top riders and teams in the world of motorcycle racing. In Qatar they both achieved their target of finishing the race in the points, with Espargaro taking 11th place and five points and MotoGP™ Rookie Vinales taking 14th place and two points. The Circuit of the Americas is one of the most varied on the GP circuit, with a mix of fast straights and tight hairpins. Both the Team SUZUKI ECSTAR riders are expecting a tough battle from the start of Free Practice on Friday, with the whole team looking to once again improve step-by-step in every area.